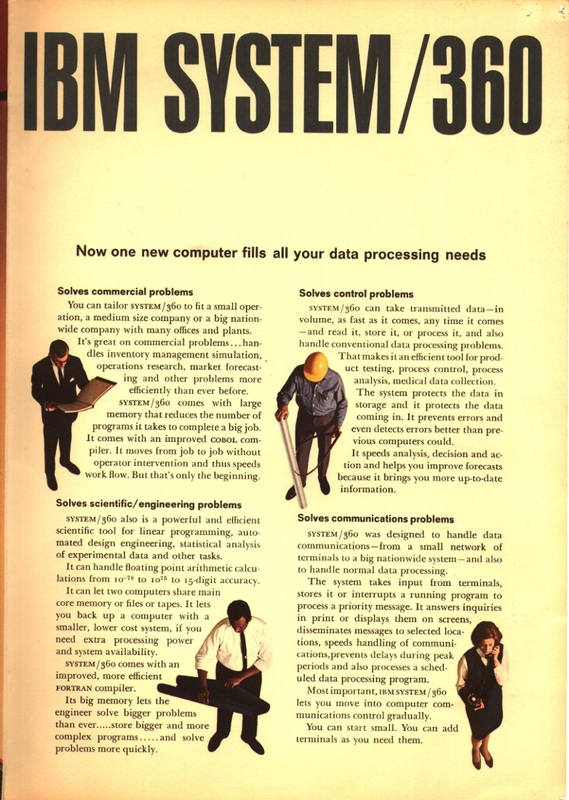 A couple of years ago I blogged about the CCS instruction in the Apollo Guidance Computer. 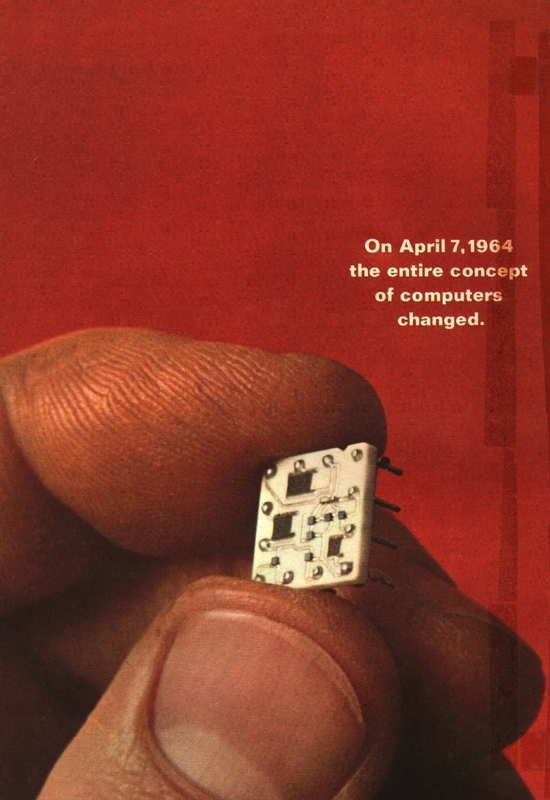 Today I want to tell you about the XC instruction from the System/360 ISA. That is one of the operands is used as both a source and a destination. The d are 12-bit unsigned displacements while the b specify the registers with the base address. For each of the operands the actual address is dX plus the value of the bX register. The l is a length field which encodes a length between 1 and 256. This by itself is neat but not every exciting…until you remember that xor can be used to zero out a register. You can use XC to zero out up to 256 bytes of memory. It turns out this idiom is used pretty often in handwritten assembly, and compilers such as gcc even produce such instructions without any special effort on the programmer’s behalf. When I first saw that line in the disassembly of HVF years ago, it blew my mind. It is elegant, fast thanks to the microarchitecture optimizations, and once you are used to the idiom it is clear about what it does. I hope your mind was as blown as mine. Till next time! A few months ago, I came to the conclusion that it would be both fun and educational to add a new disassembler backend to libdisasm—the disassembler library in Illumos. Being a mainframe fan, I decided that implementing a System/390 and z/Architecture disassembler would be fun (I’ve done it before in HVF). At first, I was targetting only the 390 and z/Architecture, but given that the System/370 is a trivial (almost) subset of the 390 (and there is a spec for 370 ELF files! ), I ended up including the 370 support as well. It took a while to get the code written (z/Architecture has so many instructions!) and reviewed, but it finally happened… the commit just landed in the repository. I am hoping that this will help document all the places needed to change when adding support for a new ISA to libdisasm. Interchange — This definitely reminds me of xkcd: Highway Engineer Pranks. At the same time, it is fascinating how there is a whole set of standard interchanges. DxOMark — Very in-depth reviews of SLR lenses and bodies. Lisp as the Maxwell’s equations of software — Reading this has rekindled my interest in Lisp and Scheme. What’s going on with a Python assignment puzzle — As a C programmer, this is totally counter-intuitive to me. Internet Mainframes Project — Screenshots of 3270 login screens of tons of internet facing mainframes. I’m going to try something new. Instead of sharing individual links per post as I come across them, I’m going to try to dump them whenever I have enough of them. It does mean that some of these links aren’t as “hot off the press”. Here’s the first batch. What is the difference between an “aggregate” and other kinds of “modified versions”? Speed tape looks like duct tape but isn’t. Two weekends ago, I happened to stumble into a situation where I had a use for wide characters. Since I’ve never dealt with them before, it was an interesting experience. I’m hoping to document some of my thoughts and discoveries in this post. As you may have guessed, I am using OpenIndiana for development so excuse me if I happen to stray from straight up POSIX in favor of Illumos-flavored POSIX. In the past, most of the code I wrote dealt with Unicode by just assuming the world was ASCII. This approach allows UTF-8 to just work in most cases. Assuming you don’t want to mangle the strings in any major way, you’ll be just fine. Concatenation (strcat), ASCII character search (strchr), and substring search (strstr) all work perfectly fine. While other functions will do the wrong thing (e.g., strlen will return number of bytes, not number of characters). Converting an ASCII string to EBCDIC is pretty easy. For each input character (aka. each input byte), do a lookup in a 256-element array. The output is just a concatenation of all the looked up values. This simple approach falls apart if the input is UTF-8. There, some characters (e.g., ö) take up multiple bytes (e.g., c3 b6). Iterating over the input bytes won’t work. One way to deal with this is to process as many bytes as necessary to get a full character (1 for ASCII characters, 2–6 for “non-ASCII” Unicode characters), and then covert/uppercase/whatever it instead of the raw bytes. This sort of hoop-jumping is necessary whenever one wants to process characters instead of bytes. There are however some downsides. First and foremost, if you are dealing mostly with ASCII, then your memory footprint may have just quadrupled. (In my case, the program is so small that I don’t care about the memory footprint increase.) Second, you have to deal with a couple of “silly” syntax to make the (C99) compiler realize what it is you are attempting to do. Arguably, the most visible change involves the “str” functions. With plain old ASCII strings, you use functions like strlen, strcpy, and strcat to, respectively, get the length, copy a string, and concatenate two strings. These functions assume that each byte is a character and that the string is terminated by a null (8-bit 0) so they do not work in the world of wide characters. (Keep in mind that since ASCII consists of characters with values less than 128, a 32-bit integer with that value will have three null bytes in most characters (assuming ASCII text). On big endian systems, you’ll end up with the empty string, while on little endian systems you’ll end up with a string consisting of just the first character.) Thankfully, there are alternatives to the “str” functions that know how to deal with wide character strings — the “ws” functions. Instead of using strlen, strcpy, and strcat, you want to call wslen, wscpy, and wscat. There are of course more. On Illumos, you can look at the wcstring(3c) manpage for many (but not all!) of them. Manipulating strings solely with the “str” functions is tedious. Often enough, it is so much simpler to reach for the venerable printf. This is where things get really interesting. The printf family of functions knows how to convert between char * strings and wchar_t * strings. First of all, let’s take a look at snprintf (the same applies to printf and sprintf). Here’s a simple code snippet that dumps a string into a char array. The output is char *, the format string is char *, and the string input is also char *. Will produce the same output as the previous code snippet. Caution! In addition to swprintf there is also wsprintf. This one takes the format string in char * but outputs into a wchar_t * buffer. Oh, I almost forgot! You should call setlocale before you start using all these features. So, to conclude, it is pretty easy to use wide character strings. I wouldn’t want to deal with this sort of code on daily basis, but for a random side project it isn’t so bad. I do like the ability to not worry about the encoding — the 1:1 mapping of characters to array elements is really convenient. 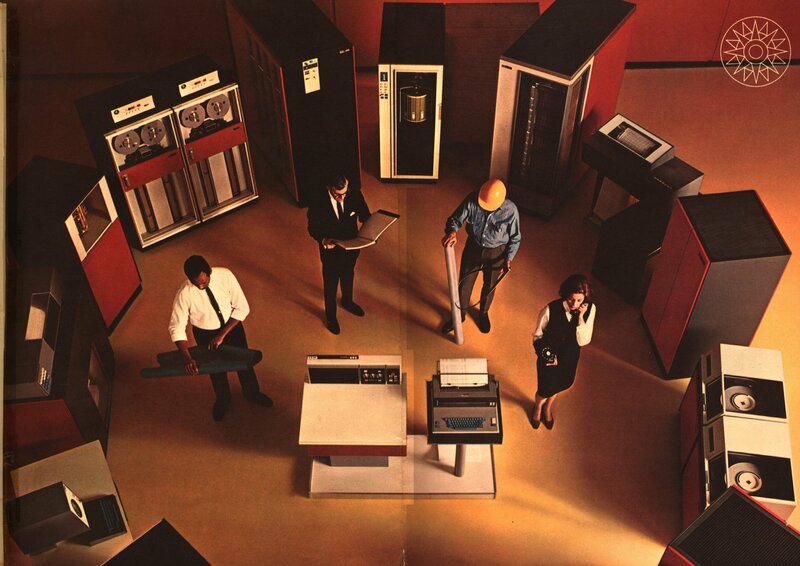 It’s been a while since I blahged about mainframes. Rest assured, I’m still a huge fan, I’m just preoccupied with other things to continuously extoll their virtues. I’m rather late with this post, but here it goes anyway. 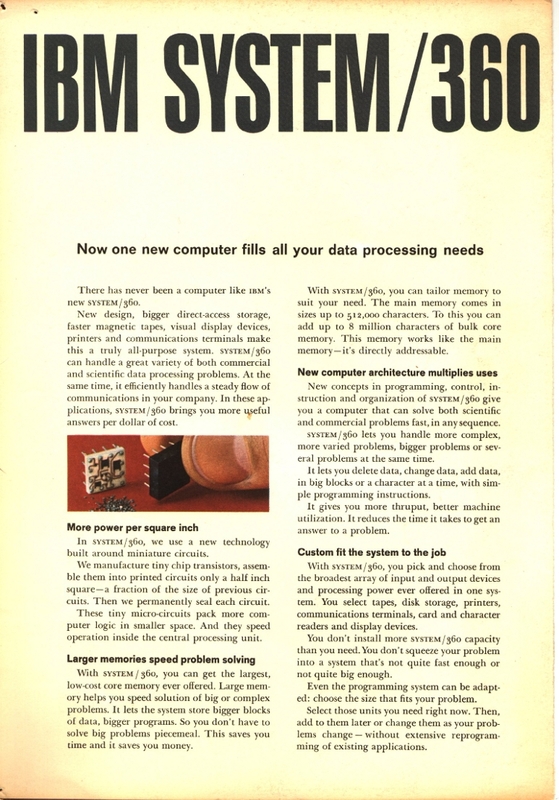 In August 2010, IBM announced a new mainframe — the zEnterprise 196. At first, I wasn’t sure if that was supposed to be a z10 replacement, or if it was an entry level system like the Multiprise was back in the ESA/390 days. It turns out that it is a z10 replacement. The system looks like a z10 from the outside, on the inside it’s different of course. The big new thing is the addition of the zBX. 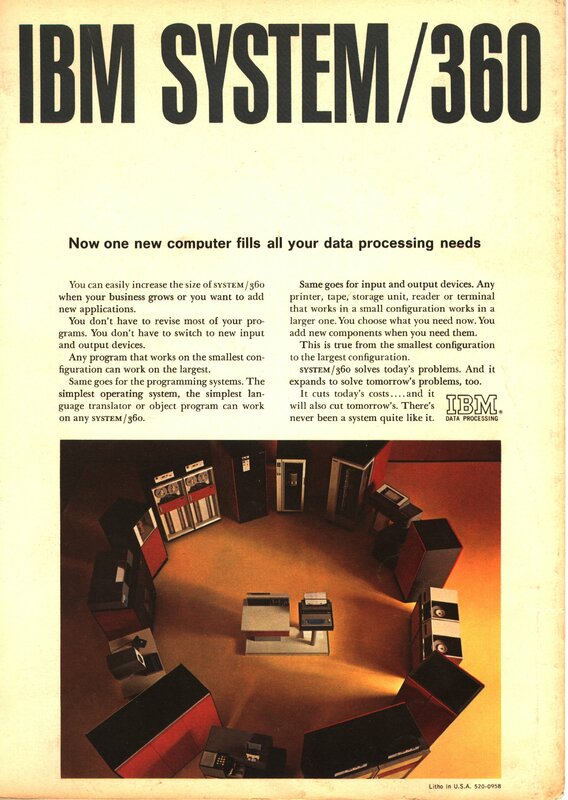 Now, it is possible to have your mainframe hooked up to several POWER (and soon x86) BladeCenters working as one system. I don’t really know much about how this part of the system works, but it sure looks interesting. Whee! This weekend happened to be filled with coding. First, I realized that it’s been 15 months since the last HVF release. I looked at the list of commits since then, and it was a sizable enough list to warrant a new release. Since there wasn’t a whole lot “Oh my! Must have!” it ended up being just another release candidate. Once released, I looked around my patch directories to see what else I should hack at. The installer patch caught my eye. I had a branch for the DASD loader work for a while — and the loader is complete. On the same branch, I had uncommitted code to implement a simple installer program. I started working on it almost a year ago (at least that’s what I gather from the bug report: 146), but I kept all the code uncommitted. I did some simple cleanup, and committed the work-in-progress code. Then, over the next few hours, I managed to get a very large portion of it done. The last piece that needs to be implemented is the EDF handling. That is, the code that lets HVF use CMS file system for config files, etc. In other news, I ran Doxygen on the HVF codebase. The output wasn’t as impressive as I hoped it would be. Part of it is probably because there are way too many functions that aren’t documented 76. This would be a good starter project for anyone looking to start hacking on HVF. Since I’m on the topic of looking for help, I realized that the HVF website is awful and could use some help — both look & feel as well content. Lastly, I’d like to post a link here to the HVF Ohloh page.